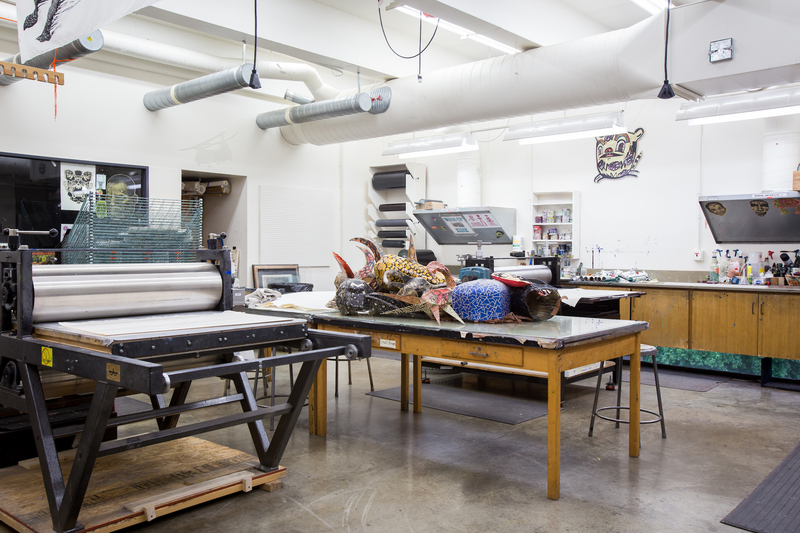 Encompassing the disciplines of relief print, serigraphy, intaglio, lithography, digital printmaking, paper making, and book arts, Printmaking highlights the development of ideas and concept while honing skill and technical command. Students are encouraged to study the basic substructure that carries their images and to be sensitive to the subtle influences in the expressions found in handmade papers. 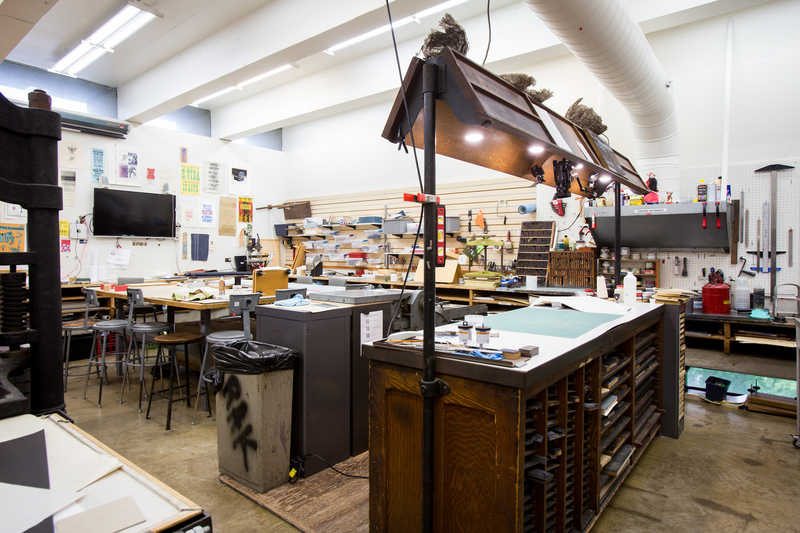 The book arts area also studies typography, book design, artist books, papermaking, illustration, production techniques, and computer typesetting. 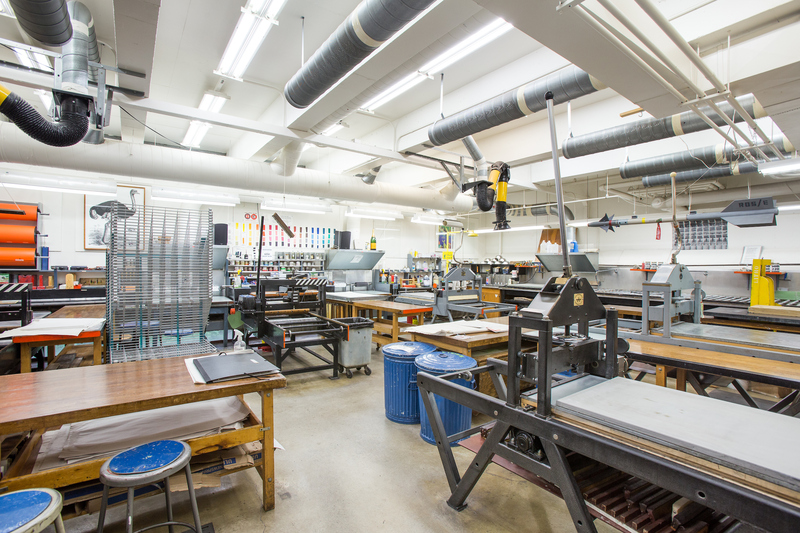 Each printmaking technique is explored in specialized labs containing state-of-the-art print equipment with a faculty of specialists who offer instruction emphasizing in-depth technical knowledge in studios designed and outfitted for specific printing techniques. 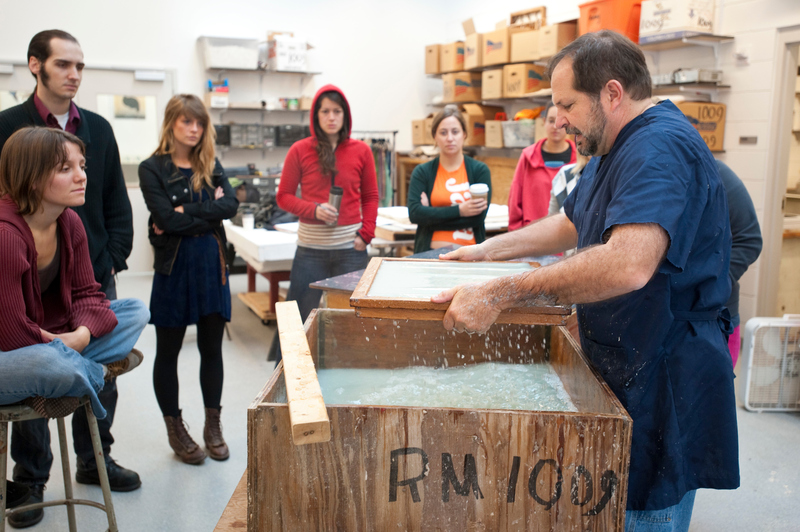 The etching/intaglio classes present a thorough grounding in traditional techniques, while encouraging experimentation and an orienting of the print in the center of current artmaking. There is an emphasis on sophisticated color printing and the incorporation of other non-traditional formats. 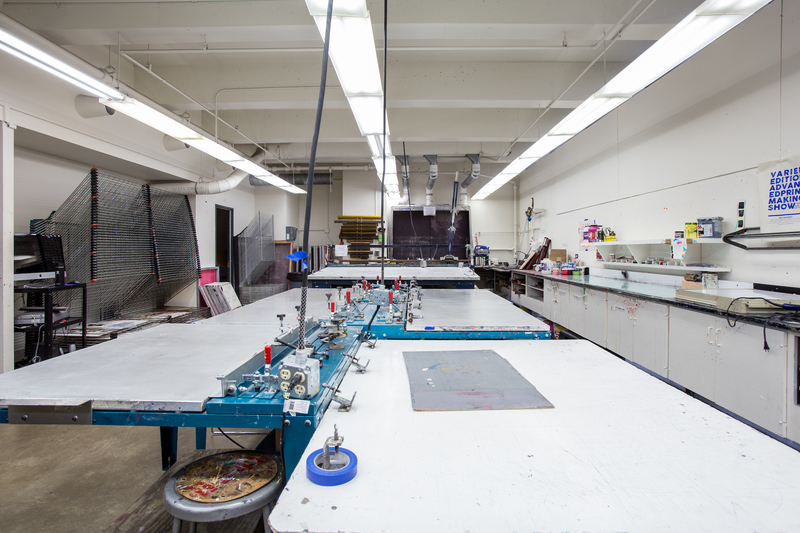 The facilities include four etching presses and a state-of-the-art platemaker for photoetching. 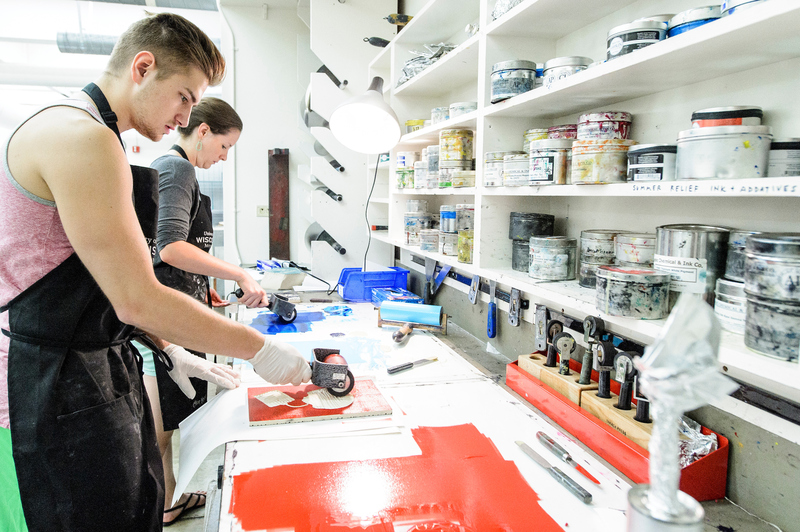 The lithography classes are based on individual conceptual development as well as “hands-on” course work geared towards craftsmanship and professionalism. All phases of lithography are stressed including direct, transfer, photo and computer generated imagery utilizing both stones and plates. 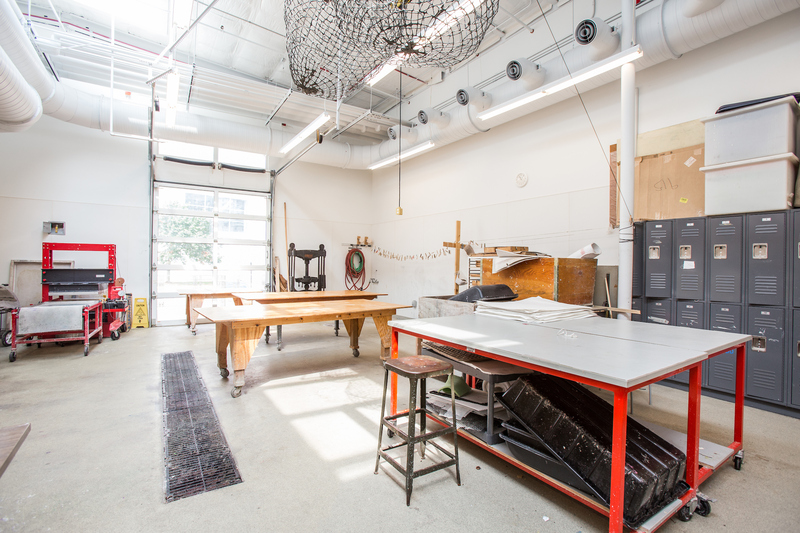 The center of the program is a well-equipped workshop incorporating five presses, a large graining sink, and over 75 stones of varying sizes up to 30x40 inches. 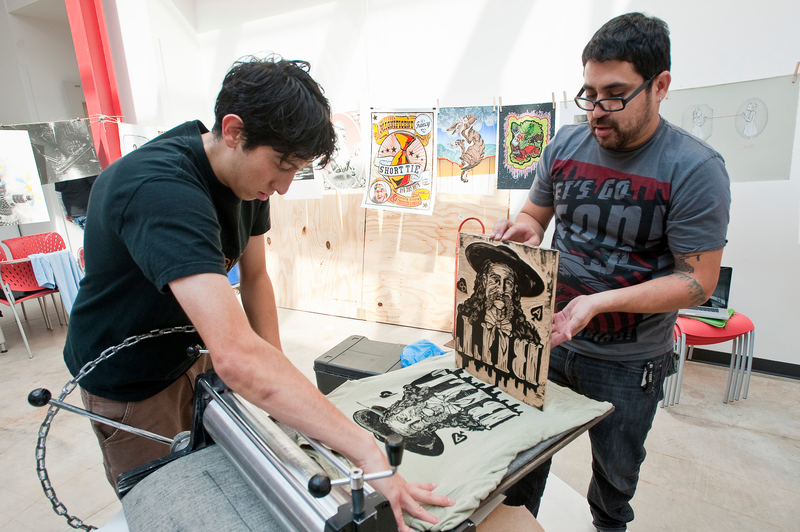 Relief printing courses offer instruction in woodcut, wood engraving, and linocut. Skill in the use of hand tools is stressed, as well as experimentation with power tools and the laser engraver. Besides its use as a powerfully expressive medium on its own, the relief print as it is used in typographic design and fine book production is also explored. Classes in serigraphy (screenprinting) explore various techniques used to develop stencils from basic hand drawn and cut paper designs, to advanced photo and digitigraphic processes. 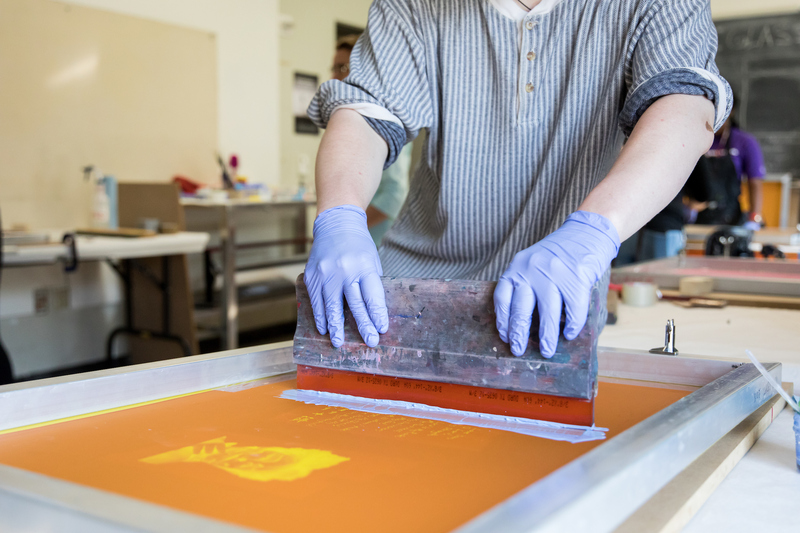 With a workshop linked directly to the digital printmaking studio, these courses emphasize the integration of traditional silkscreen methods, photo techniques, and current computer image processing with large format printing. Book Arts investigates the multiple and sequential visual imagery of the non-printed book, including its design and creation. 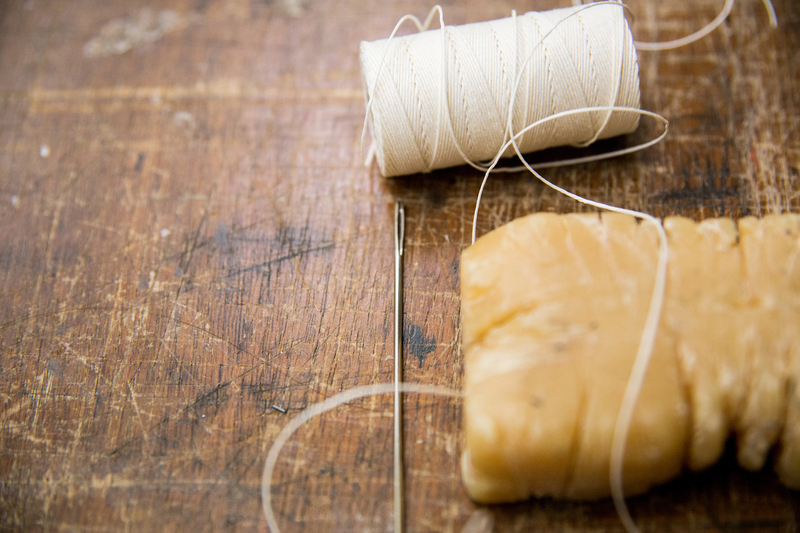 The program introduces book structures and skills used in binding and to acquaint students with the formal, visual and technical aspects of bookmaking, exploring the relationships between concept, design and book structures. They experience hands-on work using book making tools and materials and gain an appreciation of book structures as a creative and expressive medium. 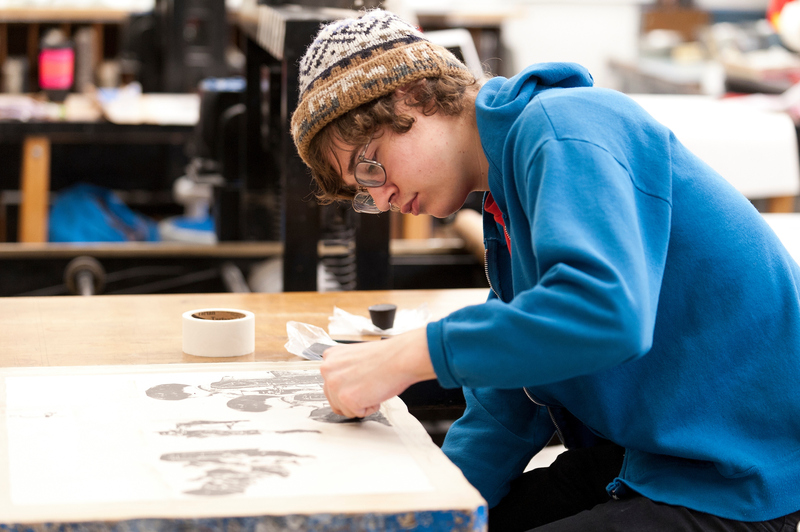 In the working process, students are provided an opportunity for experimentation with a range of materials and equipment. The program helps develop good working habits, discipline, accuracy and precision. The program in Papermaking is concerned with understanding the inherent qualities of the materials used in this medium, first, as applied to traditional sheet forming and, second, as they relate to contemporary concepts involving casting, pulp painting, and vacuum forming. Printmakers are encouraged to study the basic substructure that carries their images and to be sensitive to the subtle influences in the expressions found in handmade papers.